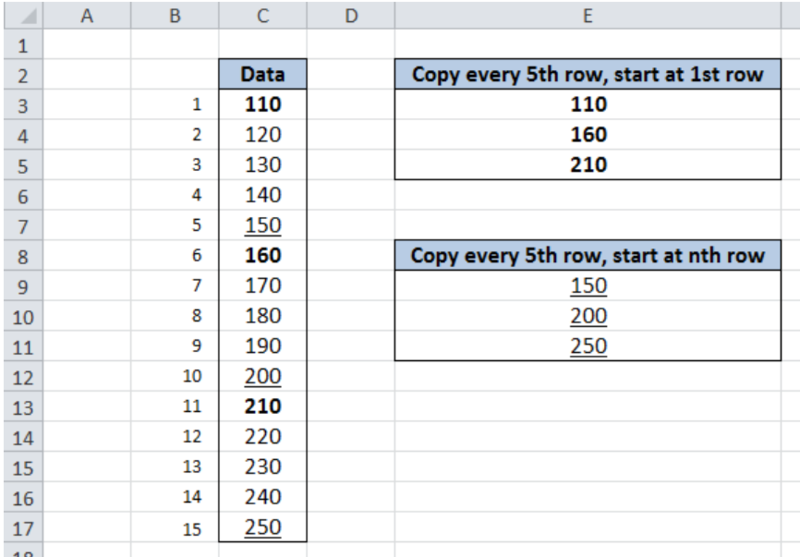 If you want to copy every nth row in Excel, you can accomplish this by combining several functions. 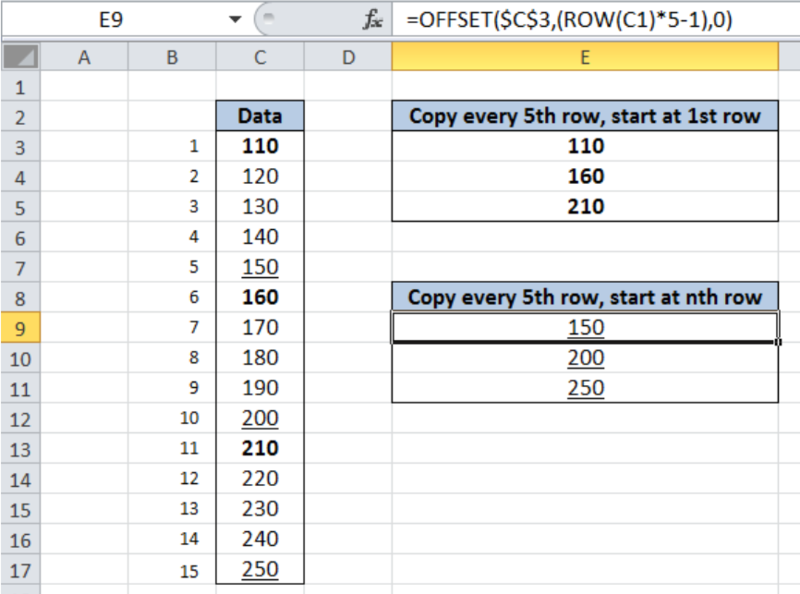 Copying values with a specific pattern in Excel can be done using the OFFSET and ROW functions. 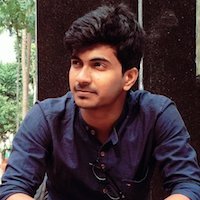 OFFSET function returns a reference to a cell or range while ROW function returns the row number of a cell. 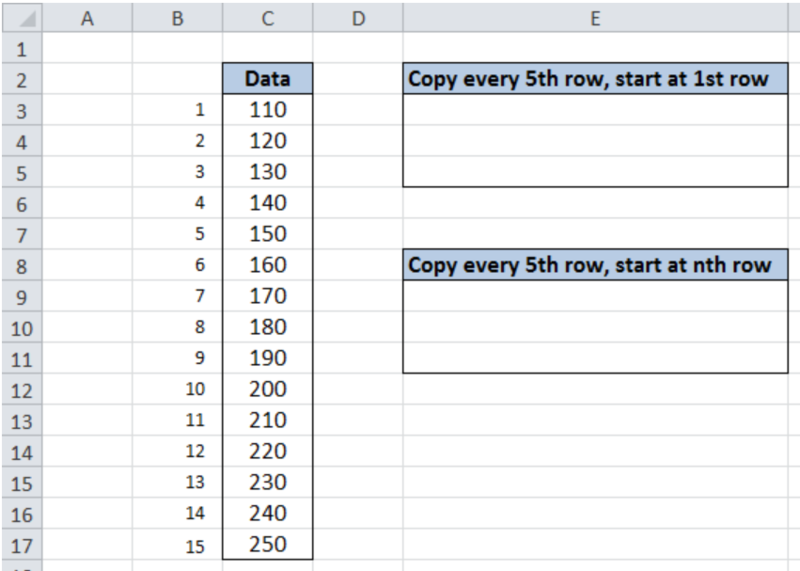 This step by step tutorial will assist all levels of Excel users in copying values from every nth row. Our data in column C shows a list of fifteen numbers, which are numbered accordingly for easy reference. In cells E3:E5, we will obtain the values every 5th row starting with the first value, while in cells E9:E11, we will obtain the values every 5th row starting with the 5th value. The formula to copy the values from every nth row depends on the first value that we want to copy. We could start at the first row or the nth row. The first cell in our data serves as the reference cell for the OFFSET function. Step 1. Select cell E3. The reference used is the first cell in the list which is C3. The ROW formula “(ROW(C1)-1)*5” determines the offset for the rows, which returns a multiple of 5. In cells E3, E4 and E5, the 1st, 6th, and 11th values are copied. Finally, the results are 110, 160 and 210. Step 1. Select cell E9. The ROW formula “(ROW(C1)*5-1)” determines the offset for the rows, which returns the values 4, 9 and 14. 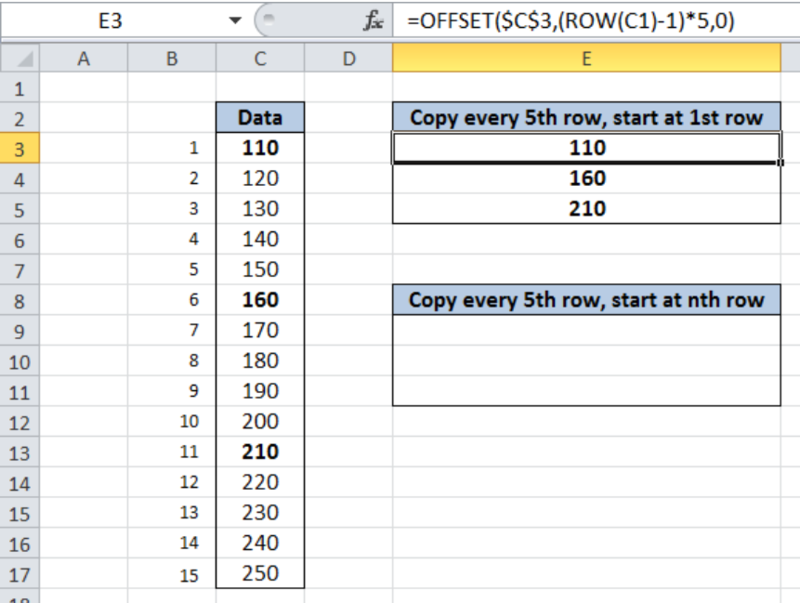 This enables our OFFSET formula to return the cells corresponding to the 5th, 10th, and 15th rows. In cells E9, E10 and E11, the 5th, 10th, and 15th values are copied. The results are 150, 200 and 250. 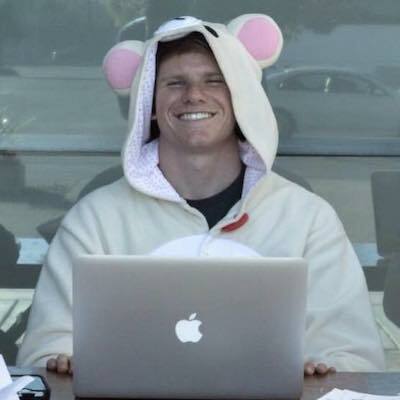 I want to Copy a list (1.2.3.4.... eth) to every nth cell. I'm trying to use an Array Formula to return every nth option from another sheet but can't seem to figure it out.